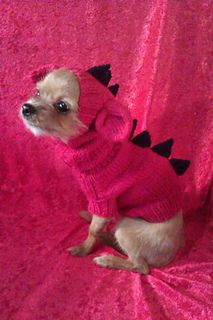 TGIF Bonus Post: What Sweater Should My Sister Make for Dog Hazel? 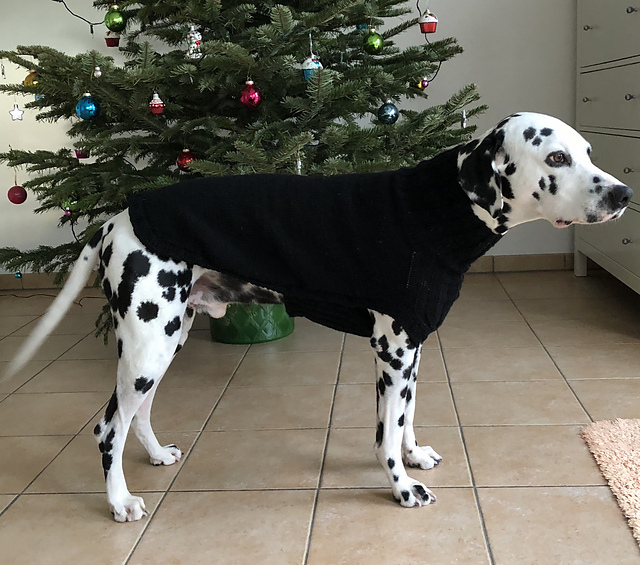 My sister is visiting, and has volunteered to make Dog Hazel a little sweater for the winter. 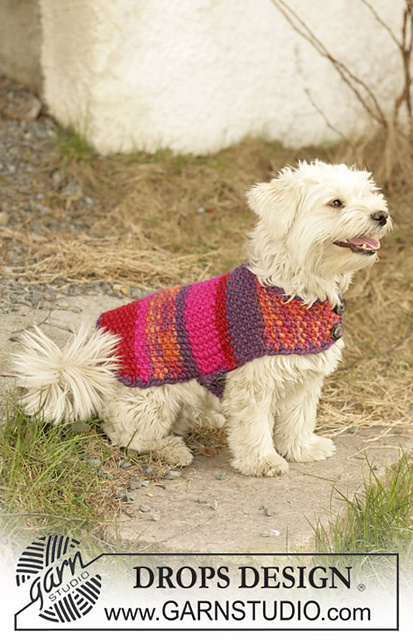 Knitting takes time, so now is the time to pick the pattern so it can be ready by chilly weather. Dog Hazel has terrible fur, is already cold just with air conditioning, so she definitely is going to need SOMETHING. But what? 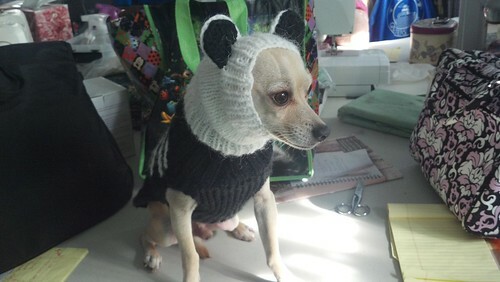 Welcome to the world of dog knitting patterns! It is a magical place. 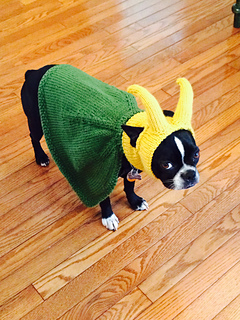 For instance, should I put Dog Hazel in a cape and horns? But in hot pink. 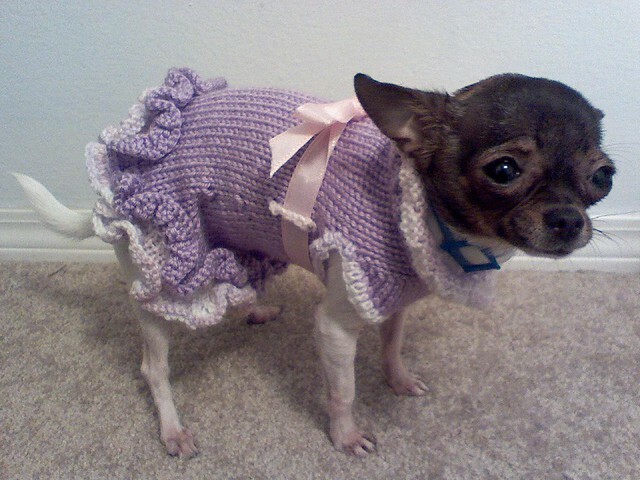 Because why have a dog if you can’t embarrass it? (see also: children). 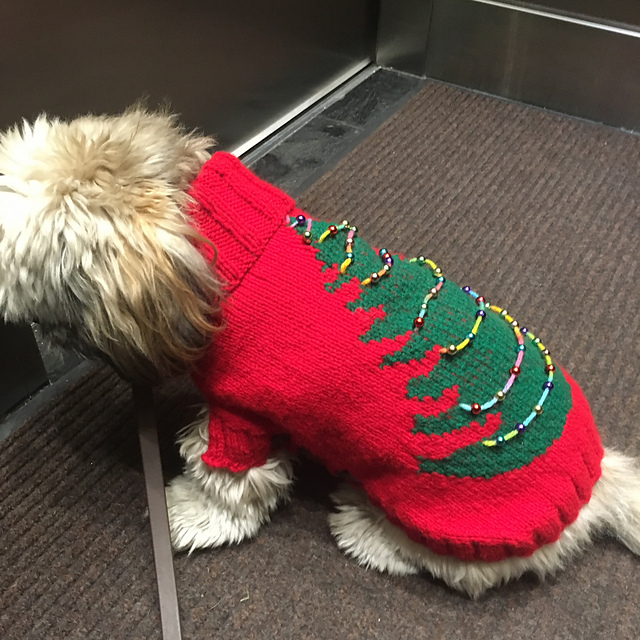 This entry was posted in Uncategorized and tagged Dog Hazel, Sweater, TGIF by mredlich21. Bookmark the permalink. Does the last one include the Christmas tree sticking out of the back? After that last post, what about an elephant sweater? Yes! Perfect! She can wear it to the premier of the Haathi Mere Saathi remake. Which brings up the other question: should I have my sister make us matching sweaters? I love the practical colorful one, and YES to matching sweaters, or at least a matching scarf. Love the matching scarf idea! Because I can wear the scarf over my coat, so everyone can see it and admire our coordinated beauty. A matching scarf sounds good, perhaps with a co-ordinating tam or beanie. Not as much work for your sister as knitting a jumper. We don’t want her to get RSI.. If we really wanted to make this easy, she could just pick yarn that matches one of the hats/scarves she has already made me and use that to make Hazel’s little coat.